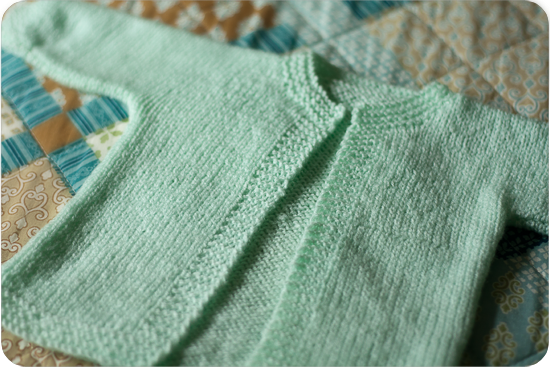 I recently came into posession of a partially finished baby sweater by an older woman who was losing her eyesight. One of my relatives wanted it finished, so she could gift it to her first grandchild (due next month). The pattern was in the bag with the extra yarn and the partially completed sweater… It was hand-typed on a scrap of yellowed paper, and I have not been able to find it on the internet anywhere (there are no credits on the pattern, either). I was also a little unsure on the seaming.. and even though I searched throughout Ravelry, and all over the internet, I could not find this pattern anywhere. 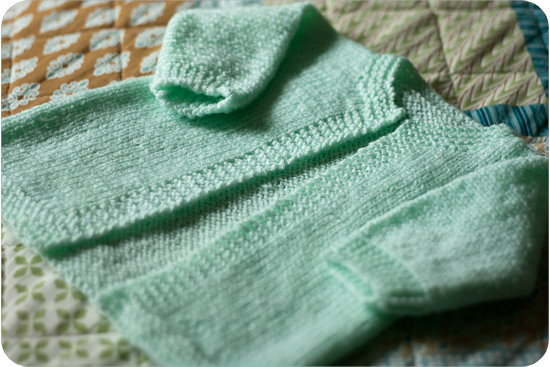 It really is a simple little pattern, however... knit all in one piece with seams to finish up the sides and underarms. I also had to take out several rows where the poor older woman had started to have trouble with the stitches... but after a couple hours of work (and some gentle steam blocking) - it is all finished! Starting at lower back edge, cast on 40 (50) sts. Work garter st. (Knit each row) for 6 rows. Work in stockinette st. (knit 1 row, purl 1 row) to 7” from start, end with purl row. Cast on 18 (24) sts. at end of last row for sleeve. Turn, knit across, cast on 18 (24) sts for other sleeve. Work on these sts. as follows: Row 1 – K5 for garter st. cuff, purl to last 5 sts., k5 for cuff. Row 2- K across. Repeat these 2 rows for 3” above sleeve cast on sts. End on right side. Work 31 (39) sts and slip to holder. Bind off center 14 (20) sts. for neck, work to end. Work on the 31 (39) sts. for 4 rows. Inc. 1 st. at end of next row for neck edge, then inc. 1 sts at same edge every other row twice more. Work on the 34 (42) sts for 2 rows. Cast on 7 (9) sts at end of last row for front. Next row, K5 for front garter st. border, purl to last 5 sts, K5. Keep 5 sts at front border in a garter st. Work until sleeve measure 7”. End at cuff edge, bind off 18 (24). Work to end. Work on 25 (27) until front is the same length as back. K6 rows for border. Bind off. Slip sts of other side to needle with point of needle at neck. 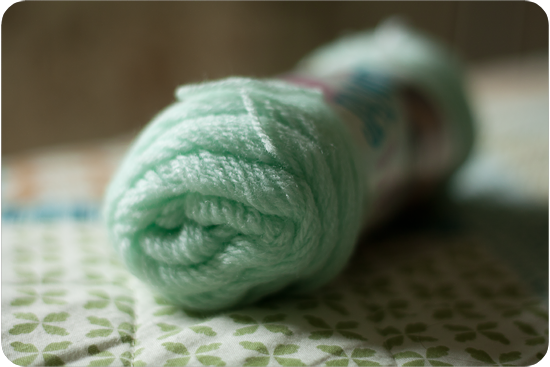 Join yarn and work across the 31 (39) sts. Work 3 more rows. Inc. 1 st. at beg. Of next row, then inc. 1 st. at same edge every other row twice more, end at cuff edge. Work one more row on the 34 (42) sts, cast on 7 (9) for front. Finish same as the other side. Neckband – ON right side, starting at right front edge, pick up and K11 (13) sts, along neck. Pick up and knit 14 (20) on back, and 10 (13) on other side. Knit garter st. for 6 rows. Bind off. Sew up underarms.